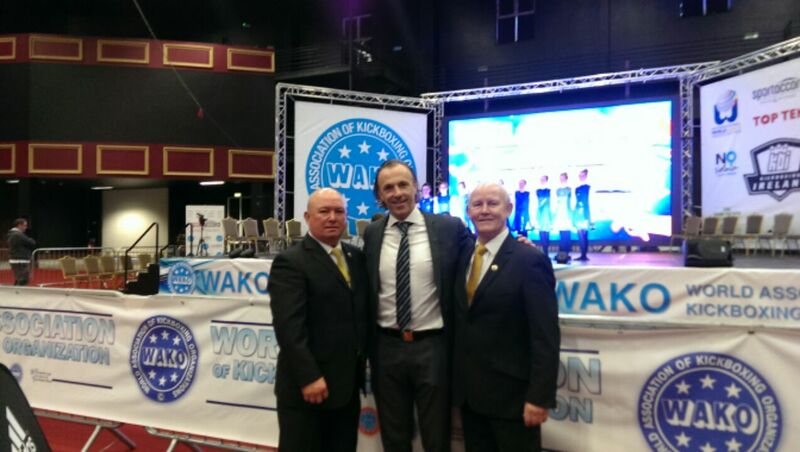 Master Brendan O'Toole and Master Val Douglas with President of WAKO Europe Master Roy Baker at the WAKO World Championships, held at the City West Conference Centre in Dublin. Today was the opening day for the five day event. The next development squad will be held this coming Sunday, the 8th of November in Glanmire Community College, cork from 11am-2pm. As mentioned previously, All those thinking of putting themselves forward for National Team Selection should also be attending these sessions. As always the team will cover all aspects of sparring, patterns, special technique and power. 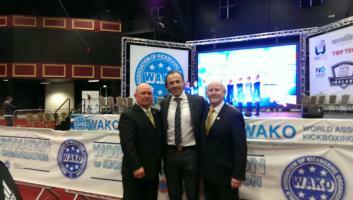 Irish National Taekwon-Do Association, I would like announce the date of the 17th I.N.T.A. Open I.T.F. International Taekwon-Do Tournament, to be held on Saturday the 6th and Sunday the 7th of February 2016. The event will be held in the National Basketball Arena in Tallaght, Dublin. 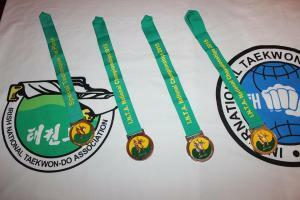 Saturday the 3rd of October saw the INTA host their largest national championships to date. With just over 500 competitors, 8 ring councils, 6 rings and students from over 30 clubs around the country, the competition got off to a great start. This year the INTA were delighted to welcome friends from Northern Ireland and Scotland.